Jugular plate is a kind of wall that separates the jugular bulb from the middle ear. This wall can range in thickness from super-thick and entirely solid, to pneumatized, to thin, to nonexistent. Large, dominant jugular bulbs are more likely to be associated with dehiscent jugular plate (also known as lateral wall). 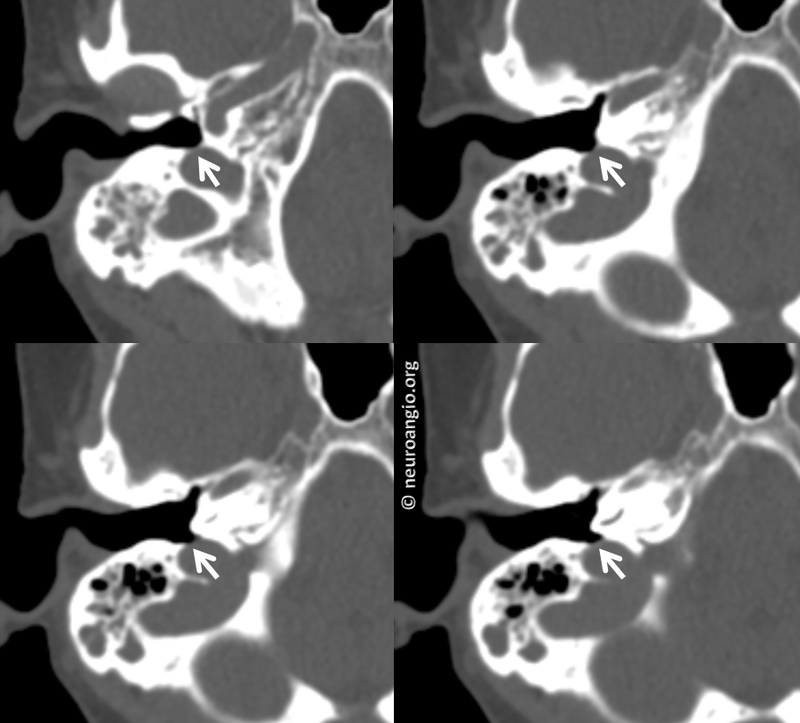 When this dehiscence is present, the jugular bulb protrudes directly into the middle ear cavity. 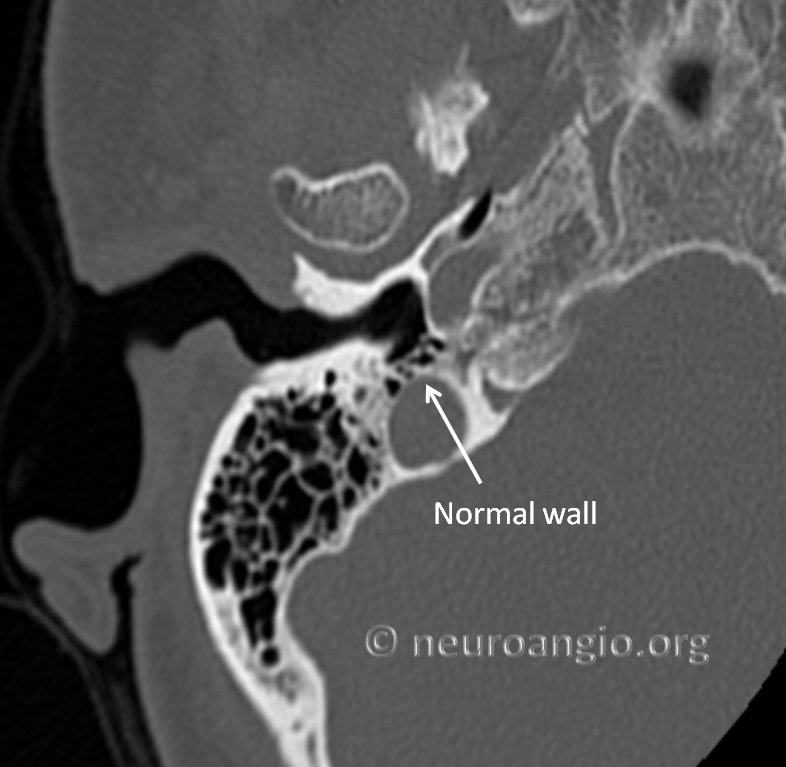 Sometimes it can be seen as a dark blue structure behind the eardrum. Because of large volume and high flow state in the jugular bulb, particularly if it is a dominant one, dehiscence can lead to transmission of jugular bulb venous flow sound into the ear, thus causing pulsatile tinnitus. Like all venous causes of PT, this should is usually completely or nearly completely suppressed by compression of the ipsilateral jugular vein. Failure of this simple maneuver to stop the sound should raise suspicion of another cause. Even if jugular compression abolishes the sound, it is still important to check for presence of other venous variations particularly venous sinus stenosis, which is in my opinion a more common and more primary cause of PT than jugular plate dehiscence. Isolated jugular plate dehiscence is treated surgically by reinforcing the plate with tissue such as bone, muscle, and fat. Results are generally good. 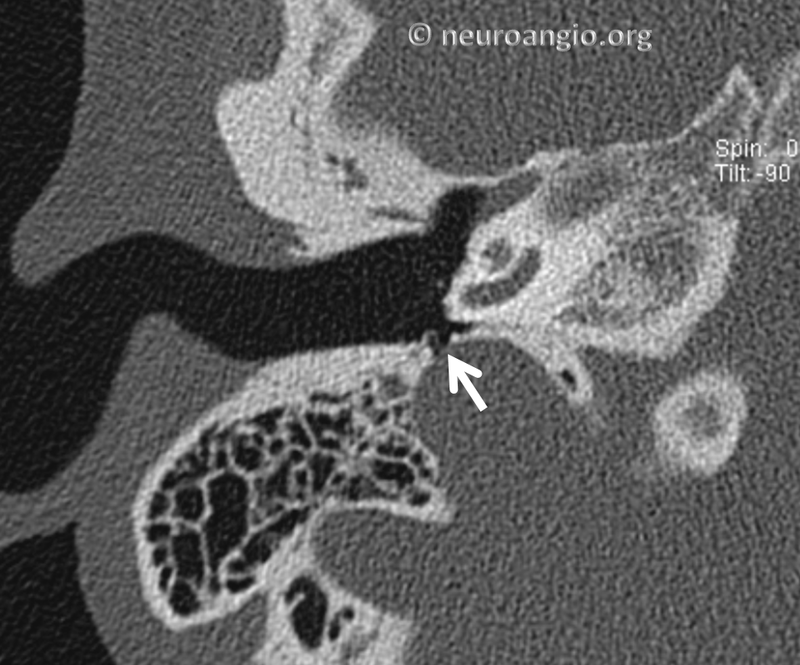 The classic patient who benefits from this operation is someone who has unilateral PT on the side of dehiscence, has a dominant jugular bulb there, can suppress the sound by jugular vein compression, and does not have other intracranial venous issues on the same side such as sinus stenosis.